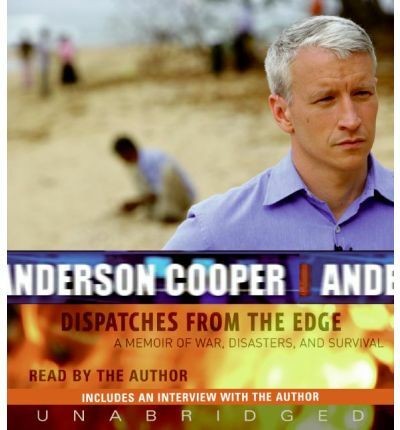 In this gripping, candid, and remarkably powerful memoir, Anderson Cooper offers an unstinting, up-close view of the most harrowing crises of our time, and the profound impact they have had on his life. After growing up on Manhattan's Upper East Side, Cooper felt a magnetic pull toward the unknown. If he could keep moving, and keep exploring, he felt he could stay one step ahead of his past, including the fame surrounding his mother, Gloria Vanderbilt, and the deaths of his father and older brother. As a reporter, the frenetic pace of filing dispatches from war-torn countries, and the danger that came with it, helped him avoid having to look too closely at the pain and loss that was right in front of him. But recently, during the course of one extraordinary, tumultuous year, it became impossible for him to continue to separate his work from his life. From the tsunami in Sri Lanka to the war in Iraq, the starvation in Niger, and ultimately Hurricane Katrina, Cooper gives us a firsthand glimpse of the devastation that takes place when the normal order is ruptured on such a massive scale. Cooper had been in his share of life-threatening situations before -- in Sarejevo, Somalia, and Rwanda -- but he had never seen human misery quite like this. Writing with vivid memories of his childhood and early career as a roving correspondent, Cooper reveals how deeply affected he has been by the wars, disasters, and tragedies he has witnessed, and why he continues to be drawn to some of the most perilous places on earth. About the Author: Anderson Cooper joined CNN in 2001 and has anchored his own program, Anderson Cooper 360°, since 2003. He had previously served as a correspondent for ABC News and was a foreign correspondent for Channel One News. Cooper has won several awards for his work, including an Emmy. He graduated from Yale University in 1989 and also studied Vietnamese at the University of Hanoi. He writes regularly for Details magazine.